In the aftermath of a car accident, the victims are usually focused on getting the medical attention they need to combat any injuries and getting their cars fixed or replaced so they have transportation. At some point, these same individuals may think about filing a lawsuit against the driver that hit them, and may set up appointments with personal injury lawyers to explore this possibility. Assuming the injured party wants to move forward and initiate the lawsuit, the process of building a case to present in court begins. While the testimony of all parties, accident photos, and police reports play an integral role in car accident cases, there is an additional type of evidence frequently used that can make or break a case. 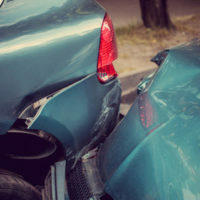 Proving fault in some car accident cases is relatively straightforward, but depending on the circumstances, such as the involvement of multiple vehicle and slow-speed collisions, demonstrating who is legally responsible and the extent of someone’s injuries can be complicated. In these situations, experts in issues related to car accidents are used to establish key elements of the case. Personal injury cases can be particularly difficult for the injured victims because of the suffering endured, but having a grasp of the legal process and strategy used to build case can make the experience less overwhelming. A party who sustains injuries in a car accident must produce evidence about the type and extent of the injury, and the short- and long-term impact on the person’s health. The treating physician serves as the medical expert, and presents information to the jury on anatomy and pathology of the injury in order to show the seriousness and degree of pain and suffering the victim experienced. In addition, testimony about future medical treatment and the long-term prognosis for recovery, including the likelihood of returning to work and resuming normal social activities, would also be offered to establish the need for damages to cover future expenses and lost potential earnings. Doctors can also present information to the jury on the impact a party’s medical condition had on the occurrence of a car accident. For example, a young man implicated in the death of a Boca Raton women is presenting expert testimony that his asthma was the triggering event behind the car accident. While this is a criminal case, the same mitigating evidence could still be used in a personal injury suit. future limitations, if any, that would impact their performance. the presence of objects, natural and artificial, that could have obstructed a driver’s view, e., hedges, hills, construction barricades, etc. Finally, engineering experts are used if there is a claim about a defective roadway or inadequate signage at a particular location. In addition, biomechanical engineers, experts in anatomy and the effect of large forces on the human body, may be brought in to testify on the amount of force necessary to produce a specific injury or the role the vehicle restraint system played in an injury. If you suffered an injury in a car accident, the long-term effects may not readily apparent, but could potentially affect you for the rest of your life. A personal injury lawyer can help you get the money you need to compensate for any lasting limitations you now have. The Miami law firm of Pita Weber Del Prado is experienced in car accident cases and is available to evaluate your case. Contact us for a free consultation.